Wednesday, April 18, 9:15 a.m.
Sunday, May 6, 2018, 1:00-3:00 p.m.
On the heels of recent events, high school students are speaking loudly and effectively and are poised to vote their passions. Local students initiated voter registration drives by asking the League for assistance. 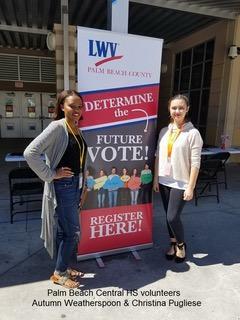 LWVPBC launched a successful campaign, operating voter registration centers at Wellington, Forest Hills and Palm Beach Central High Schools. The League trained student government reps to assist in registration and recruit prospects, thus insuring student participation. The result - at Wellington, 13 League volunteers and student government reps were able to register 144 students in one 45 minute lunch period. A record 352 students were registered in one week. Most of them will be of voting age by Election Day this November! The League will follow-up by keeping relevant statistics and working to convert the new registrants to active voters in November. And, of course, the League will be expanding the program to as many high schools as possible in the coming months. More great news for students – they are now able to join the League of Women Voters free of charge effective immediately. We anticipate broadening the demographics of the league, increasing the pool of volunteers and raising the energy level a notch. Students can join for free by filling out the membership form at https://www.lwvpbc.org/join-and-renew-membership/ and checking the student category. Several have already joined from our new registrants. The Women's Foundation of Florida is thrilled to be opening applications this month for our next Women on the Run non-partisan campaign training. We are thrilled to hold this program in both Palm Beach County and Broward County due to the generous support of the Jewish Women’s Foundation of the Greater Palm Beaches. The free six-month program launches in June and has monthly workshops for the rest of 2018 that will empower women to run for office. We invite non-partisan, non-profit organizations that want to serve as program partners to email your logo to Judith@WomensFoundationFL.org . 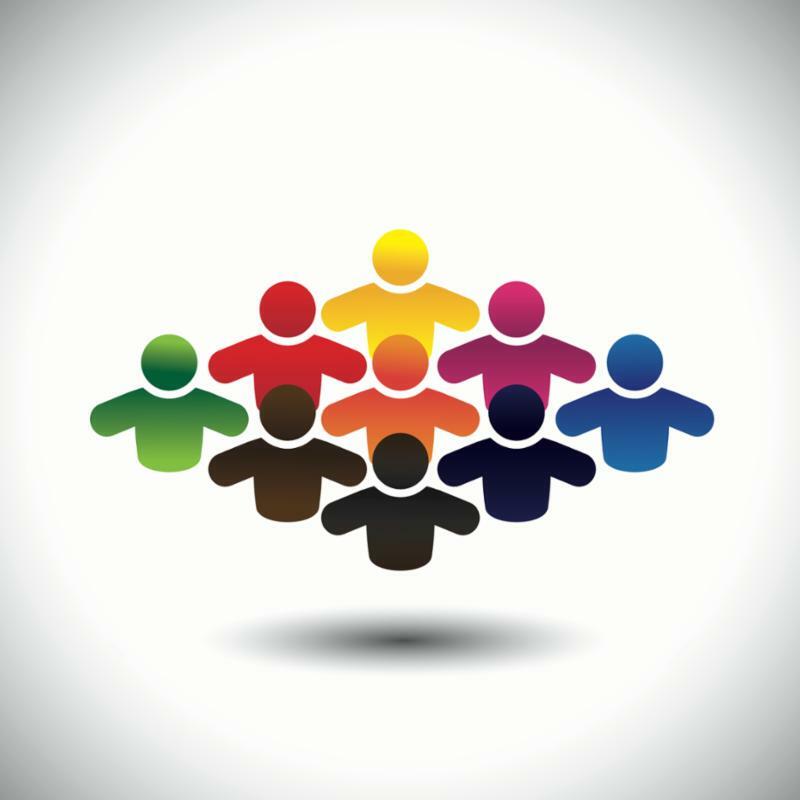 Partner organizations are not asked to contribute financially. Instead we ask that you help spread the word about the program. The free one day training and 2018 kickoff will be held on Saturday, June 2 in Palm Beach County and June 23 in Broward County. Then there are monthly follow up workshops and mentoring sessions for the rest of the year. The application process for the program will launch next week. We hope you will join us as a partner organization. 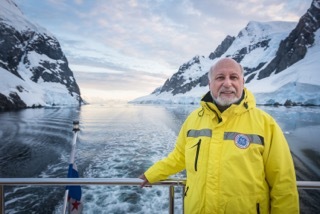 Sea level rise is an increase in global sea level as a result of an increase in the volume of water in the world's oceans. Some people think it is an environmental issue, but in reality, it is an economic, land, investment, and legal liability issue. It has everything to do with the land where we live. SLR is not just a Florida problem. It will affect every coastal city in the world - about 10,000. This requires that we get informed and prepared! YES Virginia, Every Vote Counts – Even Yours! Did you know the United States ranks consistently near the bottom in voter turnout for national elections in developed nations? Countries like Peru, Belgium or Australia that have compulsory voting (all eligible voters must vote) enjoy over 80% voter turnout vs. less than 60% in the US. In 2014 that number hit a low of 37%. Why do so many people choose to stay home? · Voter suppression via election district gerrymandering or repressive voter ID laws has largely disadvantaged minorities, students, the elderly and the poor. · Old technology and absence of mail-in, early voting, adequate polling places or weekend voting options has created long waits and major inconvenience for people who must make work or childcare a priority. · But most evident is a sense of disillusion, powerlessness, perception of the inability to make a difference and the overwhelming weariness of the current political climate. However, staying home or sitting out in protest over “imperfect” candidates is not an option if you want your future secured by people who believe in your values and opinions. What actually happens is that you allow an increasingly small segment of the population to vote their agenda, depriving you of your voice. Think it doesn’t matter? Think again. A candidate recently won a Congressional seat in Pennsylvania by 627 (out of over 225,000) votes in a highly opposition controlled district. In December 2017, a candidate won an Alabama Senatorial race for the first time in 25 years by only 1.7%. In November 2017, the Virginia State elections saw a historical shift as more women and first time candidates changed the political balance in their state legislature. All these elections had a feature in common. Voter turnout was the highest in years. Want change? Tired of the way your local and federal governments are run? There is really only one solid solution. Vote. Make your voice heard. Make it count. The League of Women Voters of Palm Beach County is pleased to announce topics offered by our Speakers Bureau. 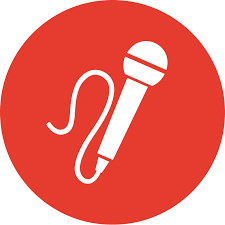 To schedule speakers for your organization, please contact the Chair of our Speakers Bureau, Ethelene Jones at (561) 444-8693 or ethelenejones@gmail.com . Another New Member Orientation will be held on Saturday, May 5th at Palm Beach State College. Registration is at 9:00 a.m. and the program starts promptly at 9:30 a.m., ending at 12:30 p.m.. All Issue Group Chairs willl be present to give information about joining theses committees. You will leave ready for action! You can register by contacting Darlene Kostrub at dkostrub@aol.com or (561) 852-0496. We grew to the second largest League in the nation, first in Florida, when we added 32 new members to PBC League of Women Voters. Please give them a warm welcome! Come to the Voting Rights Coalition meeting Thursday May 3, 2 pm at Compass, 201 North Dixie, Lake Worth. LWVPBC has grown to the 2nd largest League in the US, 1st in Florida! We want to continue to deliver excellent service to our members, but we need your help. There are a few upcoming projects that are very important, but don't require a long-term committment. Please help our, if you can. Register Voters If you can spend a few hours helping to register voters, please contact Pam Maldonado at maldonadopbc@gmail.com . 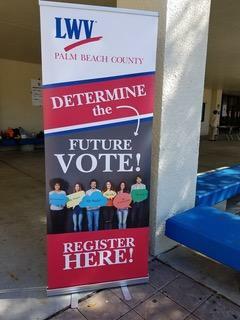 We have been asked to help register voters at every high school in Palm Beach County! It will require a bit of training and a short on-line test. Then you will be paired with an experienced person to begin registering new voters! Distribute Voters Guide Members are needed to take Voters Guides to the pick-up locations this fall. If you can help, please contact Elayne Goodman at elaingoodman@yahoo.com or Joyce Sullivan at jtfsullivan@comcast.net. The April 15 issue is my first issue of NEWS, having taken the reins from a pro, Carol Stender. There will be a learning curve, so please be patient. We want your comments and suggestions. I promise to try to do a good job, but the shoes I am filling are huge, and I feel woefully underprepared. If there is anyone out there with any desire to help us produce an informative & interesting publication, please step forward. Interested individuals, please contact Debra Chandler at dachandler55@gmail.com .